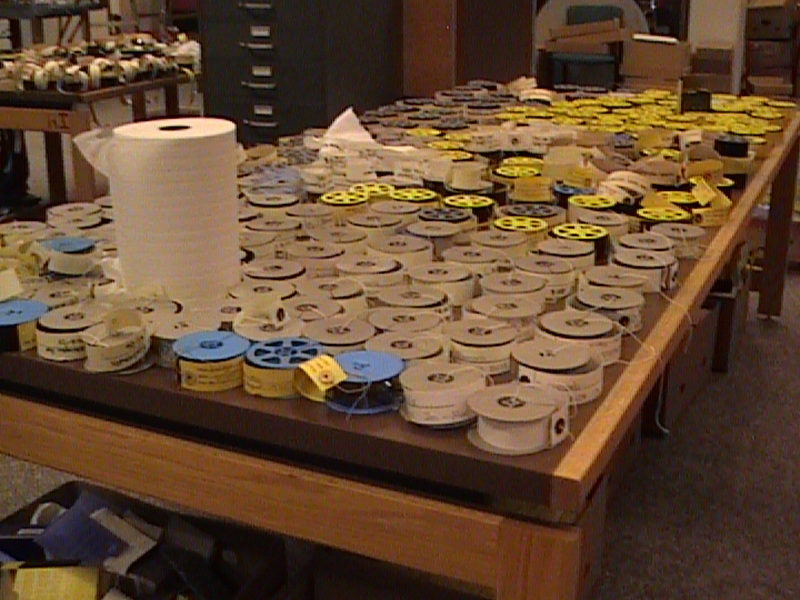 What can a person do with 13,000 feet of plastic wrap? 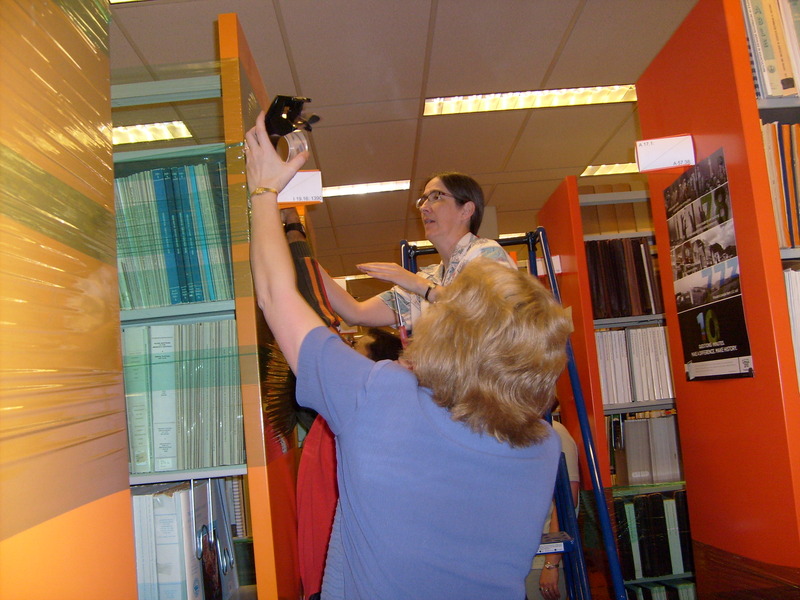 …we can plastic-wrap the Government Documents Collection in preparation for moving the shelving! 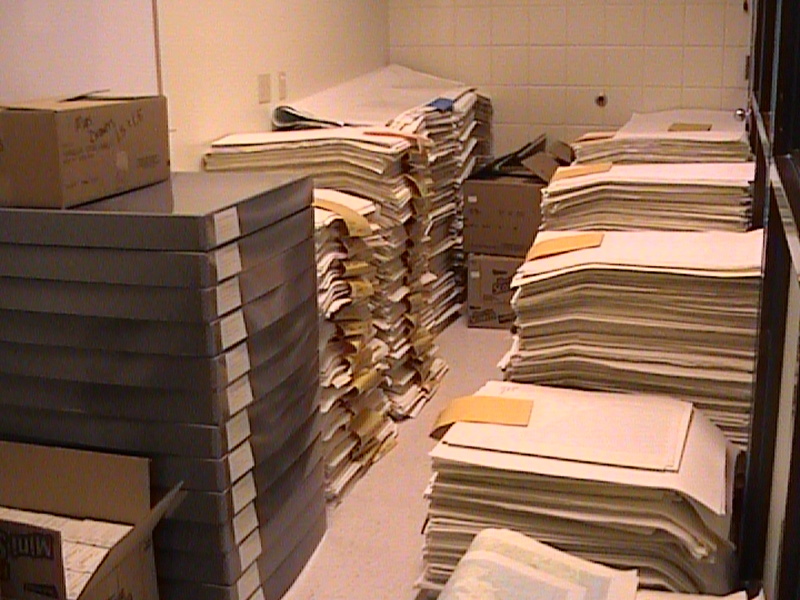 The documents are secure and are now awaiting the stack movers for the next step in the recarpeting project! Briggs Library Lower Level Madness has risen to new heights. 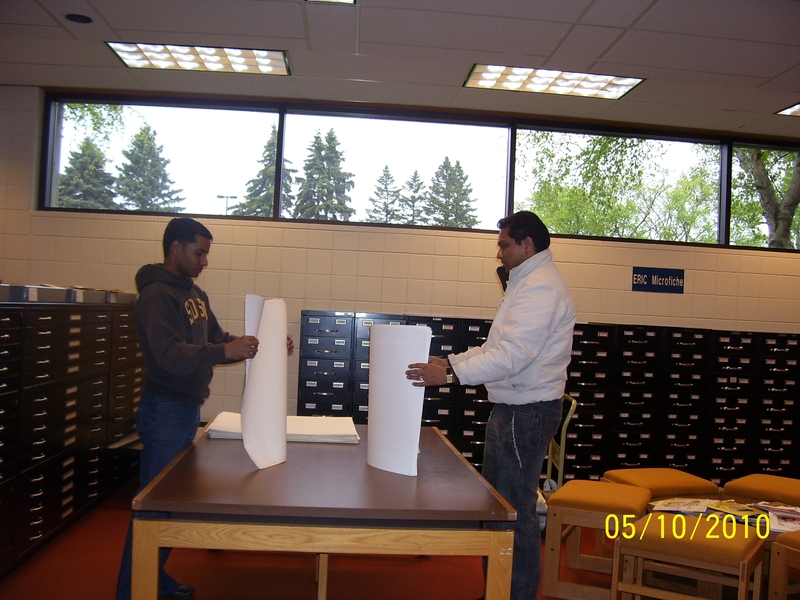 Library staff have been furiously moving furniture, clearing shelves, emptying map cases, and empting microfilm cabinets. Why the madness, you ask? And what do Banana Boxes have to do with anything? 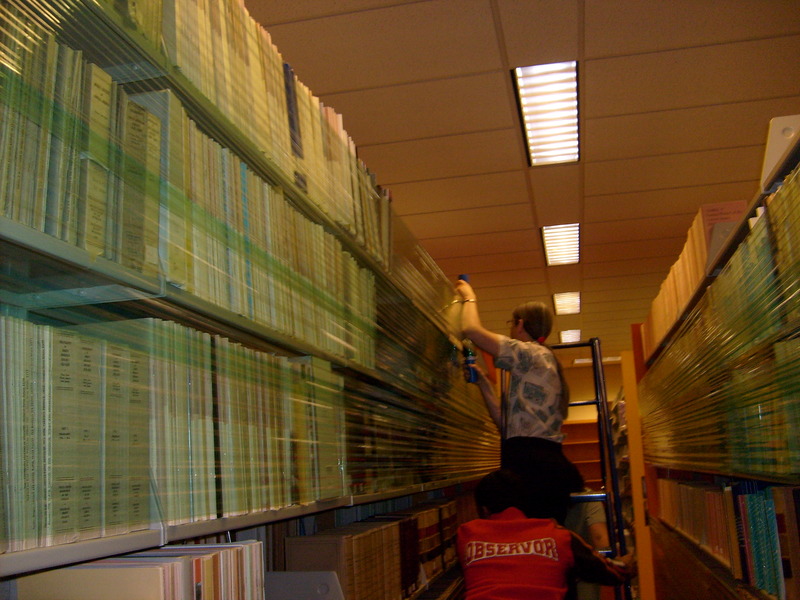 Briggs Library is undergoing major changes on the Lower Level of the Library. Since 1977, the year of H.M. Briggs opening, the Lower Level has been “decorated” for the time-1977, that is. 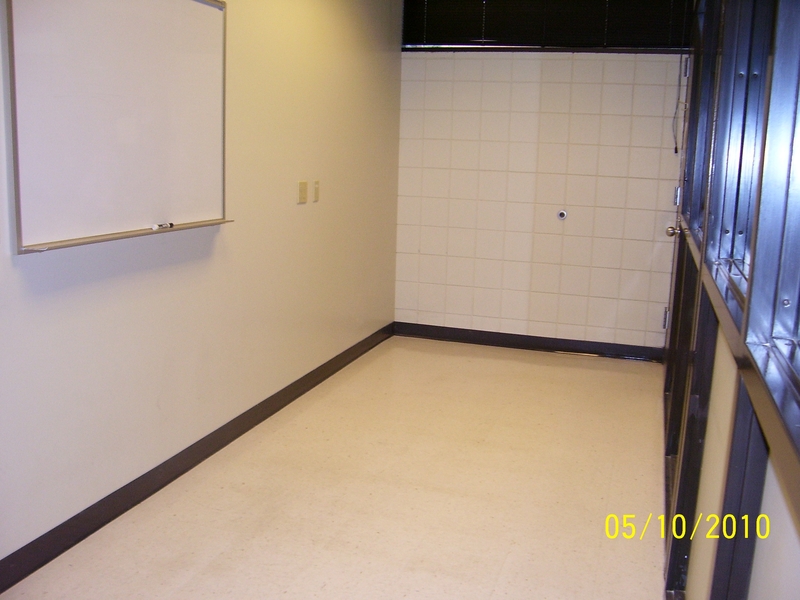 What do you think of when asked about the library basement? ORANGE! Yes, the orange carpet and orange shelves are certainly retro, but the carpet has seen much better days. 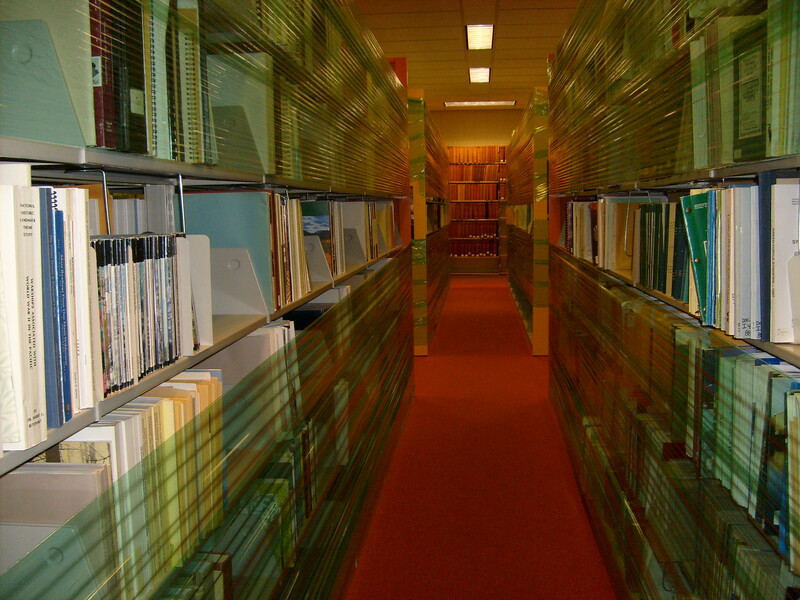 Sooooooooooooo…finally………………..the library is getting new carpet for the entire Lower Level! AND………………….it IS NOT ORANGE!!!!!!!!!!!!!!!!!!! 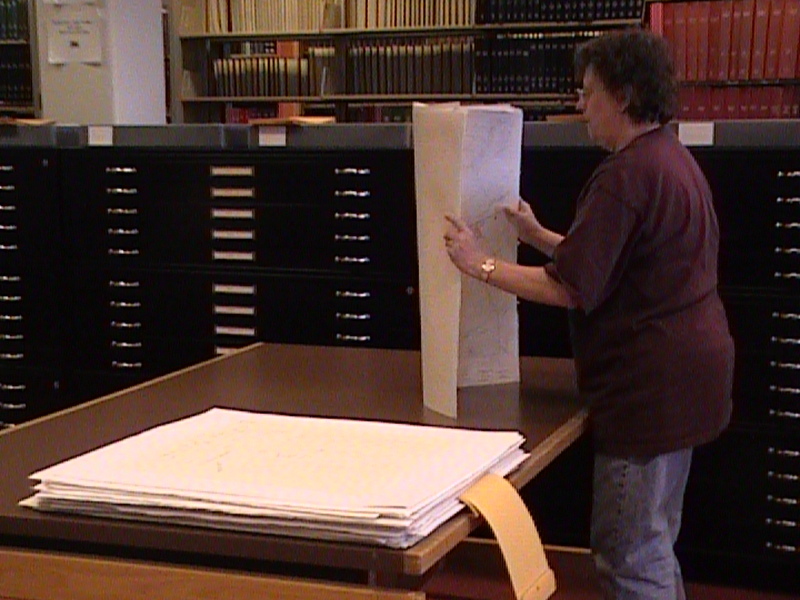 The Bound Periodical, Documents, Curriculum, Maps, and Microform Collections will all be moved at one time or another to accomodate the carpet layers. Thus, these collections will have limited access until the project is completed. 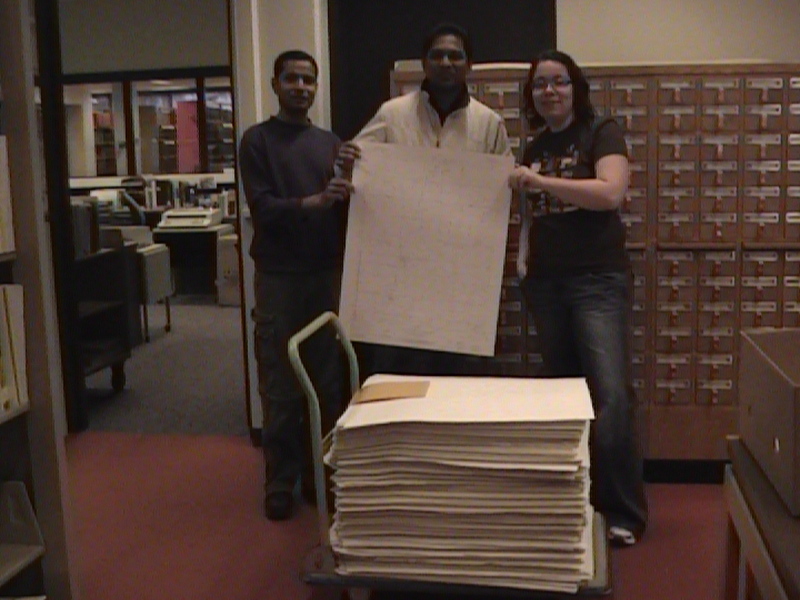 Microfilm cabinets and map cases are entirely too heavy when full to move. 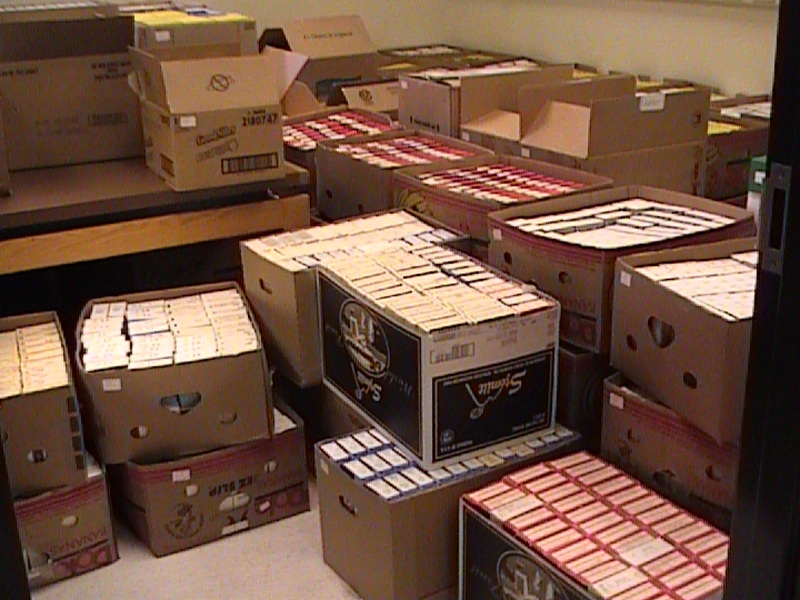 Documents Staff have emptied 240 map drawers with over 70,000 maps, and 360 microfilm drawers with over 20,000 microfilm reels to temporary locations. 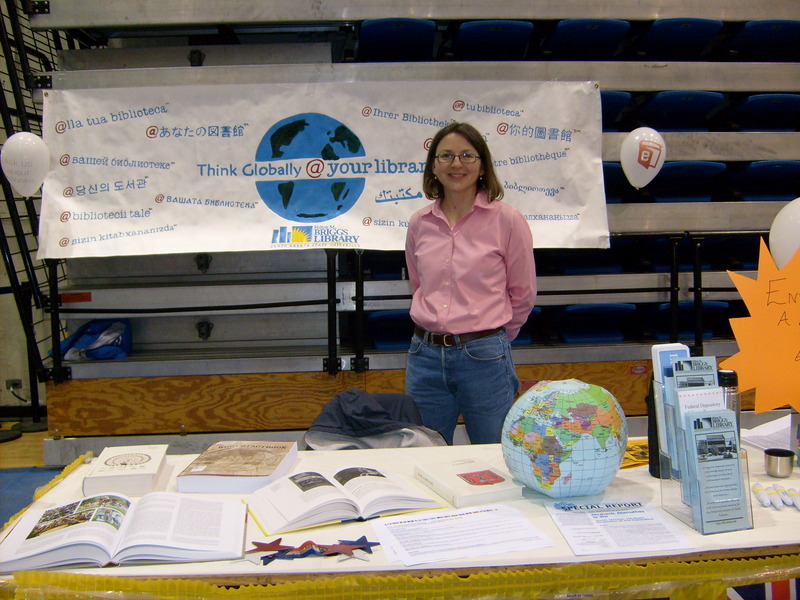 If all goes well, the collections should be available by Mid-June. Thank you for your patience during our organized chaos. So what about those banana boxes? 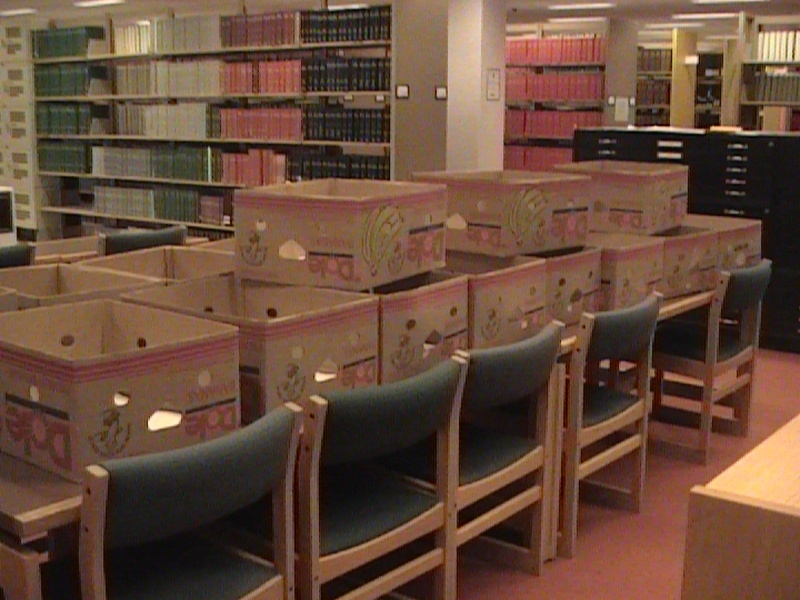 Did you know a banana box can hold 80-88 reels of microfilm? Well now you know! 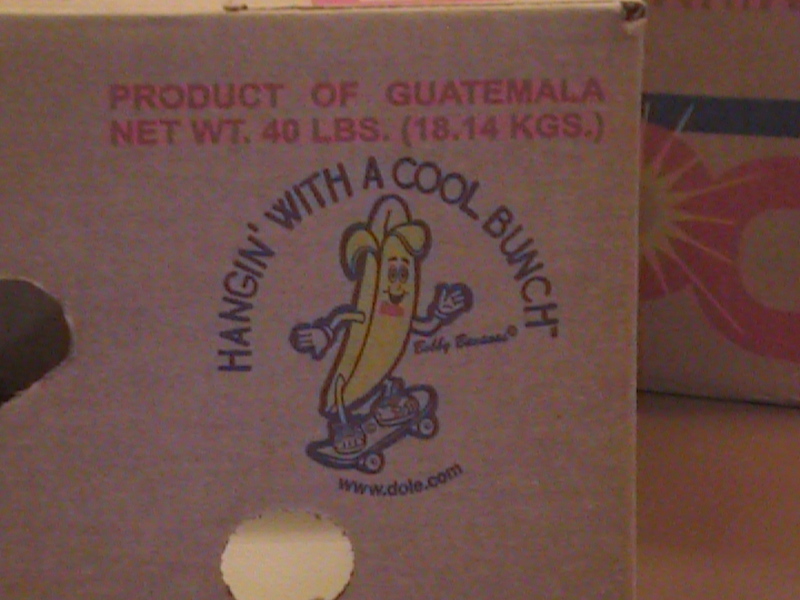 Amazing what one learns when scavenging for boxes-banana boxes are the best! 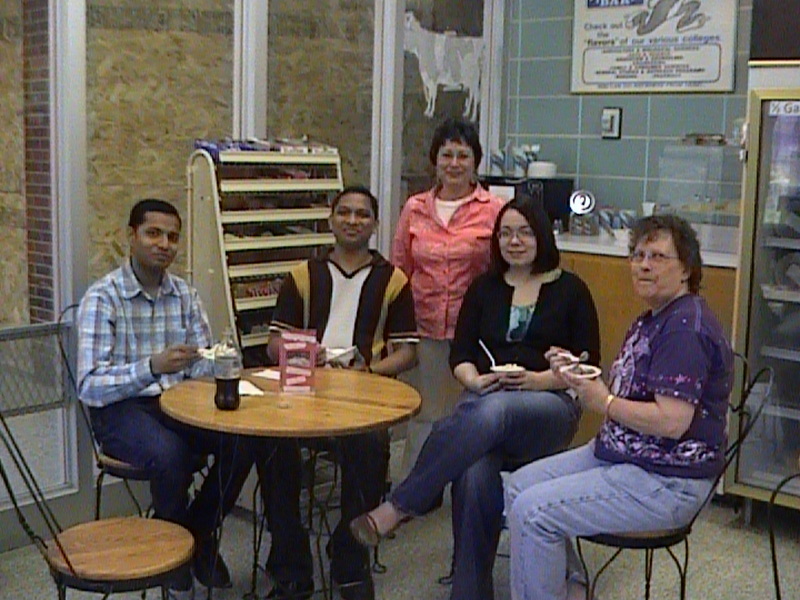 Ice cream for a job well done! 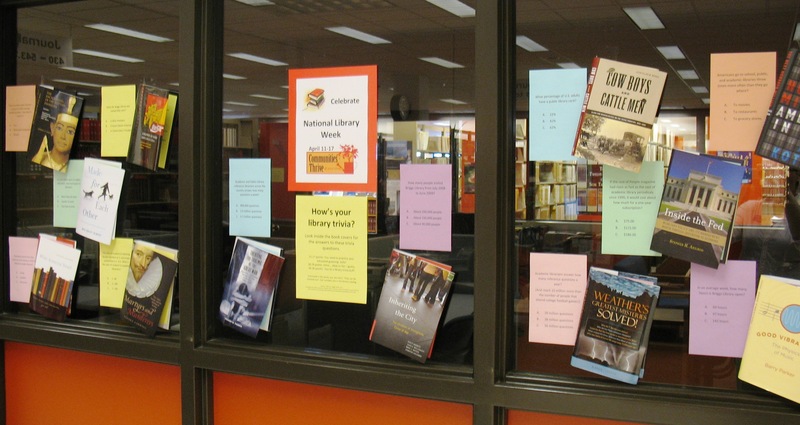 If you answered yes to any of those questions, visit the lower level of the library and check out our National Library Week trivia display! Just twelve simple questions – do one or do all. Chances are your score will be pretty good! 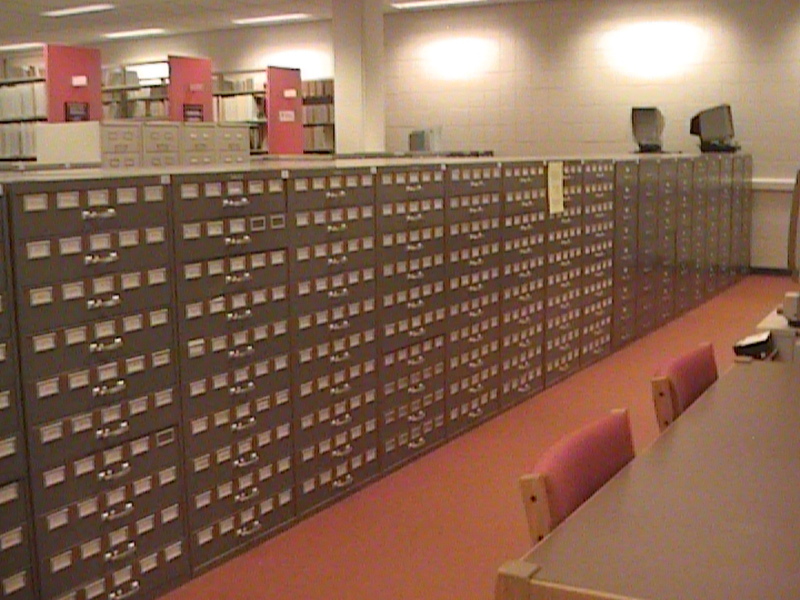 You are currently browsing the archives for the Government Resources category.